See what people are saying about EMH from some of our most recent Yelp and Google reviews! As a director of a massage rehabilitation center and a patient of this amazing practice, I must share how I highly recommend this practice for physical therapy and pain management. Their approach is comprehensive and advanced techniques that are used by the physical therapists to alleviate pain in a swift fashion. After one treatment, I was restored to a pain free back and I can't thank EMH Physical Therapy enough. Don't look elsewhere for physical therapy. Their gym has skylights and high tech equipment but more important than the modern, clean treatment rooms is their dedication to excellence. It's a hands on approach that can't be surpassed! Healing is their goal and my outcome! The office is also a calming and relaxing place, the receptionists are helpful, and the gym has a glass roof and amazing view. I was a long time patient at EMH Physical Therapy. Dr. Morrisroe helped me return to full functionality and mobility and I have zero remaining pain. I was referred to the best in their field via the connections Evelyn and all of her staff has with other medical professionals in the field. Cindy at the front desk is incredibly warm and welcoming! And, my sessions have always felt comfortable and 100% judgement free. I owe my healing to EMH Physical Therapy entirely and I hope you'll find your full way to recovery with them as well! Thank goodness EMH Physical Therapy exists! And thank goodness, especially, that Jen Jurewicz exists! She helped me so much after I went through childbirth. She is a highly specialized pelvic floor therapist who has a deep understanding of tiny muscles and of human anatomy in general. Her bedside manner is very gentle and makes you feel at ease. She really cares about her patients and even took the time to make a helpful list of specialized physical therapists in my area who would best suit my needs when I moved out of state. The office itself is really pleasant with great light and beautiful artwork so you don't feel like it's such a clinical experience being there. The staff at the front desk was always helpful. In fact, it was due to the friendly and helpful receptionist that I decided to come here in the first place because some of the other offices I had called were either difficult to reach or rude on the phone. 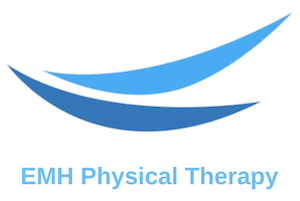 I had a terrific experience at EMH Physical Therapy! My therapist Jen was incredible. I came to her with a chronic pain issue. She's the fourth physical therapist I've worked with and by far the best. Instead of just working on strengthening different parts of my body, which is what I'd been doing with previous PTs, Jen was really creative with tackling my pain. She approached it from a modern pain science perspective and really clearly explained why we did each exercise. Evelyn, the practice owner, also gave her time to be a part of my first appointment with Jen. They both made me feel like they were interested in problem-solving my unique case and really cared about my recovery, which was so different from other PT practices I've been to where the therapist would juggle 3 patients at a time. The administrative assistants, Daria and Cindy, are both so lovely! They will help you look up your insurance benefits and explain it all to you very clearly, and they're super patient with scheduling. I truly cannot recommend this practice enough. If you want to work with physical therapists who will really take the time to treat YOU as an individual and not just treat your X pain, definitely check this place out!